The transportation sector just keeps getting worse. Even after today’s uptick, the Dow Jones Transportation Average is back where it was in April 2014, and down 18% from its peak a year ago. Within this transportation sector is freight, a gauge of the goods-based economy, which is having a rough time. 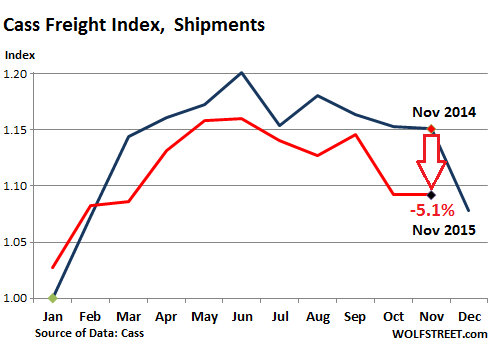 In November, the number of freight shipments in North America plunged 5.1% from a year ago, according to the Cass Freight Index. It hit the worst level for any November since 2011. 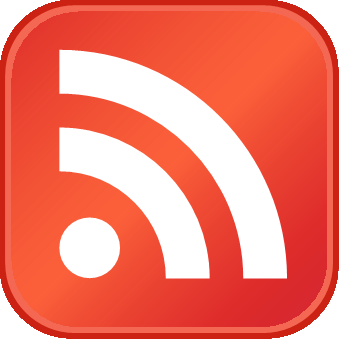 The index is based on $28 billion in freight transactions processed by Cass on behalf of its client base of “hundreds of large shippers,” Cass explains. It covers shipments, regardless of the mode of transportation, including shipments by truck and rail. It does not cover bulk commodities. Shippers include companies in consumer packaged goods, food, automotive, chemical, OEM, heavy equipment, and retail. Reasons for these lousy shipment volumes are spread throughout the economy, including a litany of big retailers that have come forward with crummy results and disappointing projections. Yesterday it was Dallas-based Neiman Marcus, which caters to luxury shoppers. It reported its first quarterly sales decline since 2009, down 1.8% from a year ago, with same-store sales down 5.6%. It booked a loss and laid off 500 people. As so many times, there’s a private-equity angle to it: Subject of an LBO in 2005, it’s now owned by Ares Capital and the Canadian Pension Plan Investment Board. They were hoping to make a bundle via an IPO. But now the IPO has been put on hold. CEO Karen Katz blamed the oil and gas fiasco. 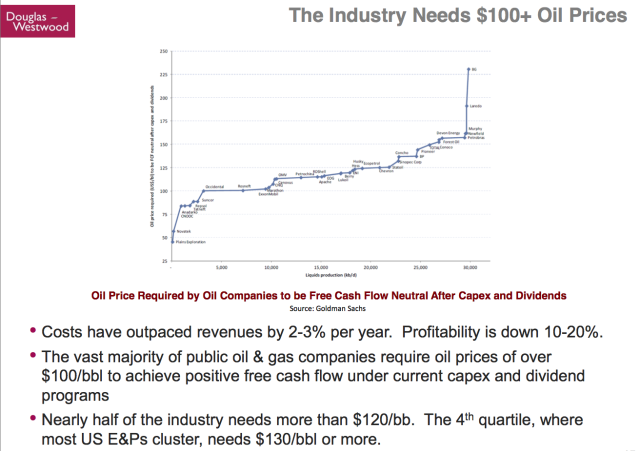 Its customers in Texas run and own companies in the depressed energy sector, or they receive royalty checks. 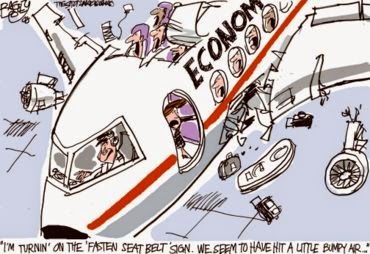 Alas… “Business conditions were quite challenging,” Katz said. She also blamed the “strong dollar” that prevented foreign tourists from splurging at its stores in the gateway cities Honolulu, San Francisco, Las Vegas, New York, Washington, and Miami. This follows the disastrous results at Men’s Wearhouse, which blamed its misbegotten foray into M&A. At the company it acquired, Jos. A Banks, same-store sales plunged 14.6%. The Federal Reserve has held back from raising interest rates, but is expected to announce higher rates in December. 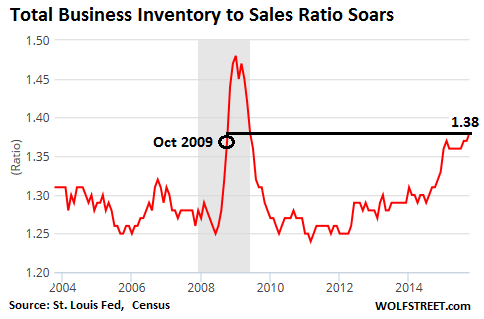 This will negatively affect those companies holding record high inventories, as carrying costs will begin to rise more rapidly. The Association of American Railroads reported a drop of 7.4% and 6.0% in carloads carried and intermodal [containers], respectively. The drop in intermodal reflects the high inventory levels faced by retailers and wholesalers and is more reflective of the goods included in the Cass Freight Shipments Index. Much of the carload loss is due to drops in bulk commodities such as coal, petroleum products and metallic ores—products not as well represented in the Cass data. Imports have slowed down considerably as retailers and wholesalers have ample supply for the holiday season. The November Institute for Supply Management’s Purchasing Manager’s Index (PMI) declined almost 3%, while production was down 7%, new orders off 7.6%, and order backlog increasing 1.2%. For the first time since August 2012, the PMI Production Index has dropped to a level indicating that it is contracting. 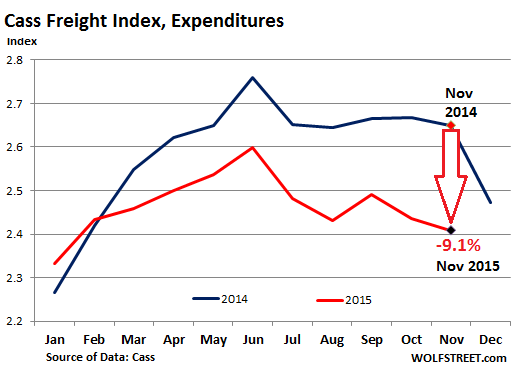 And so the index for freight expenditures, which tracks the money spent on shipping products, plunged 9.1% in November from a year ago, on a combination of lower volumes and lower shipping rates. Except for January and February, the index has been lower year-over-year every month. And December is going to be even worse: “Expect freight to erode in December following established seasonal trends,” Cass said to soothe our frayed nerves.